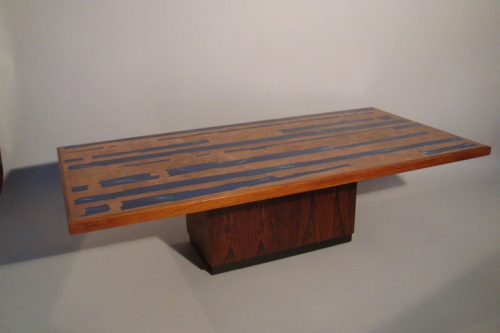 A very rare and unusual Rosewood coffee/centre table inlaid with figured and etched copper and set with dark blue resin shapes. Danish, c1960. Beautifully figured and executed. Excellent condition.